Before the game, Republic honored seniors Anna Bell, Avylina Powell-Qualo, and Halli Bartelsmeyer. Republic’s underclassmen helped pick out gifts and decorated the gym to honor the Lady Tigers’ seniors on Senior Night. Then they gave the seniors what they really wanted––a 59-49 victory over rival Nixa to stay undefeated in Central Ozark Conference play. Sophomore Clara Fronabarger scored a career-high 21 points and junior Jade Kirby added 12 for the Lady Tigers, who jumped ahead in the first quarter to take control and held on the rest of the way. Kirby scored ten of her points in the first quarter as the Lady Tigers built a 19-10 lead after one period. Republic outscored Nixa 15-6 in the second quarter to grab a commanding 34-16 lead at halftime. The team’s traded buckets early in the third quarter, but Nixa’s outside shooters started to find their range and closed the gap to 43-29 entering the fourth quarter. Nixa outscored Republic 13-9 in the third quarter, and Flood said it may have been a sign some of his players were wearing down. “I think we started running a little bit out of gas in the second half. He had a lot of kids that played several minutes there, and they were having to play pretty hard, especially on the defensive end,” Flood said. 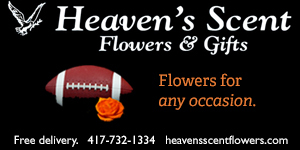 “We started giving up some easy baskets, but we’d done enough early on to establish a little bit of a cushion. Fronabarger carried a big share of the offense in the fourth quarter to help Republic hang on. She scored 11 of her 21 points in the final eight minutes, including several free throws to help seal the victory. 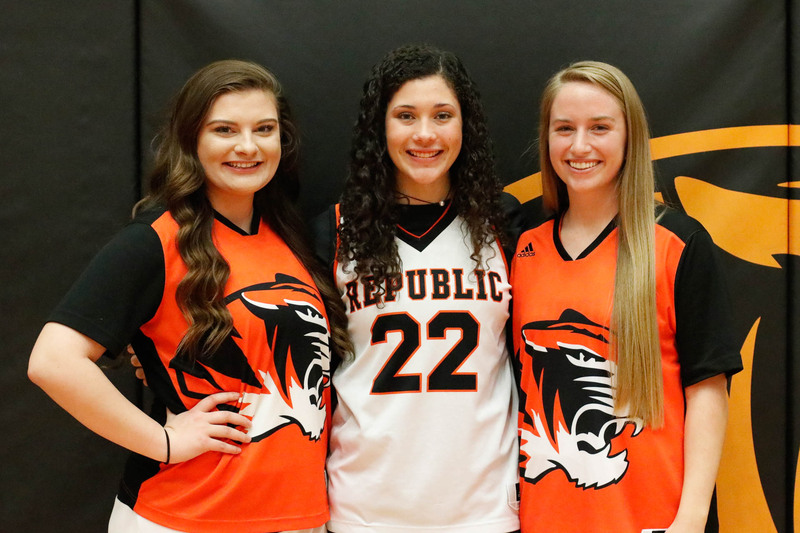 Before the game Republic honored its three seniors: Halli Bartelsmeyer, Anna Bell, and Avylina Powell-Qualo. Flood said he will remember them for the leadership they’ve provided in some difficult circumstances. Republic improved to 16-7 overall. The Lady Tigers are 7-0 in the COC with two games remaining.